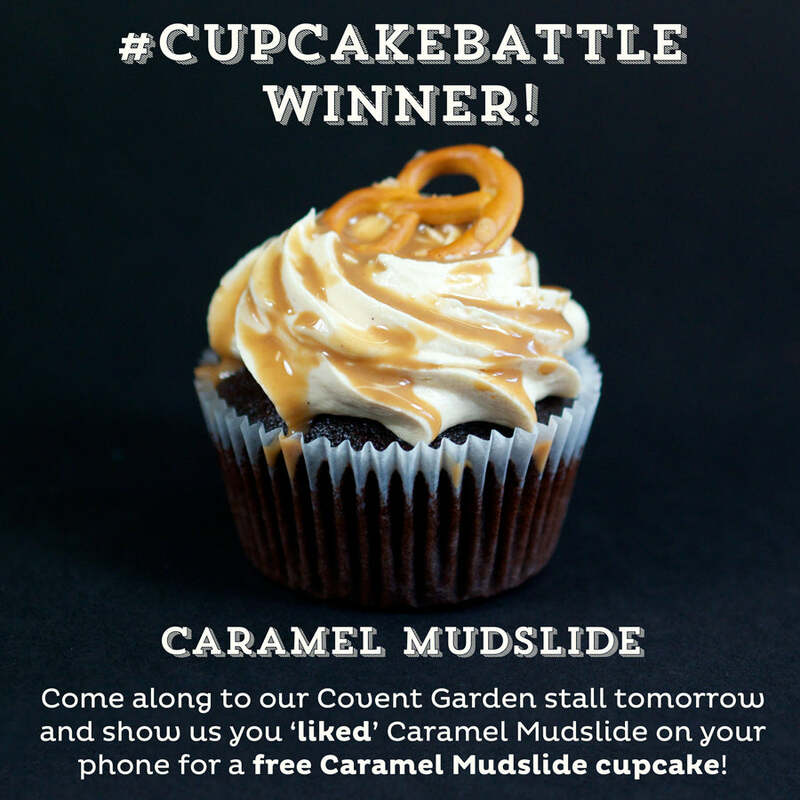 The votes are in and we have a winner in our first Cupcake Battle! Caramel Mudslide is the victor by quite some margin, seeing off the summery delights of Eton Mess with a combination of chocolate, caramel, chocolate and a bit more caramel. 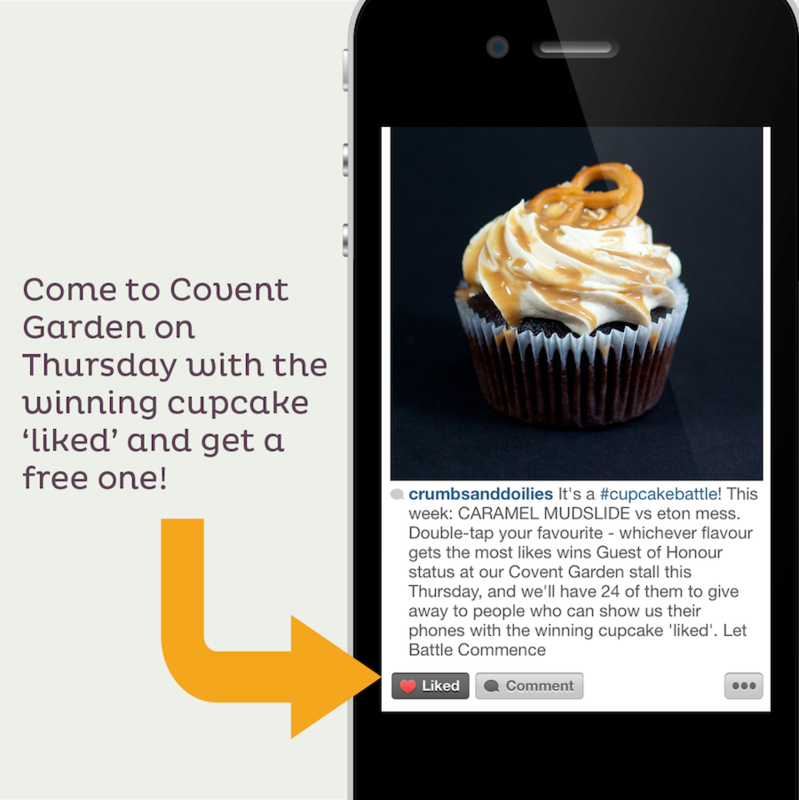 CarMud, as some or none of us are already calling it, will be the guest of honour at tomorrow’s Covent Garden stall, and if you pop along with the winning pic ‘liked’ on Instagram we’ll give you a free one! Like the winning flavour for a free cupcake!